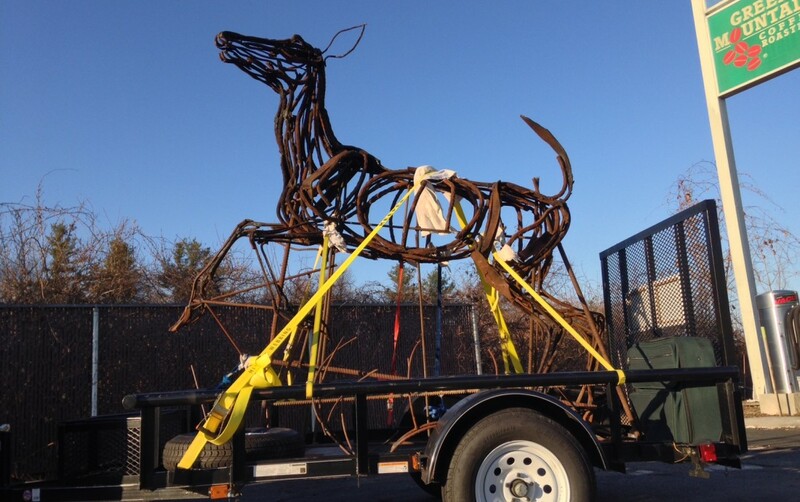 The maquettes of our buck and doe sculptures. 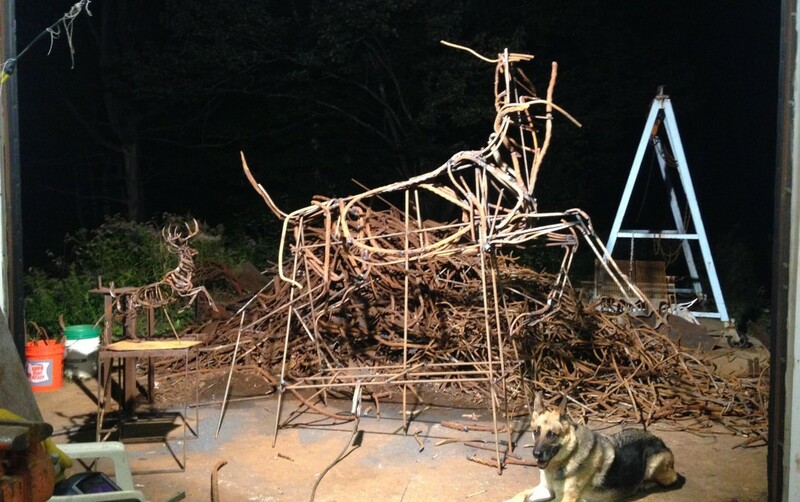 The beginning stages of creating the buck sculpture alongside the maquette and Omar — Wendy's four legged friend! The almost complete buck sculpture. 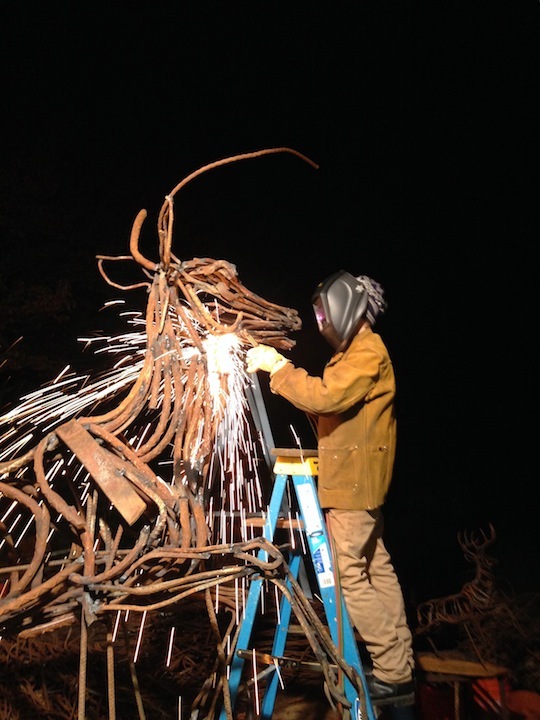 Artist Wendy Klemperer installing Whitetail Crossing. The ceremony attendees listen to Bobby's comments. 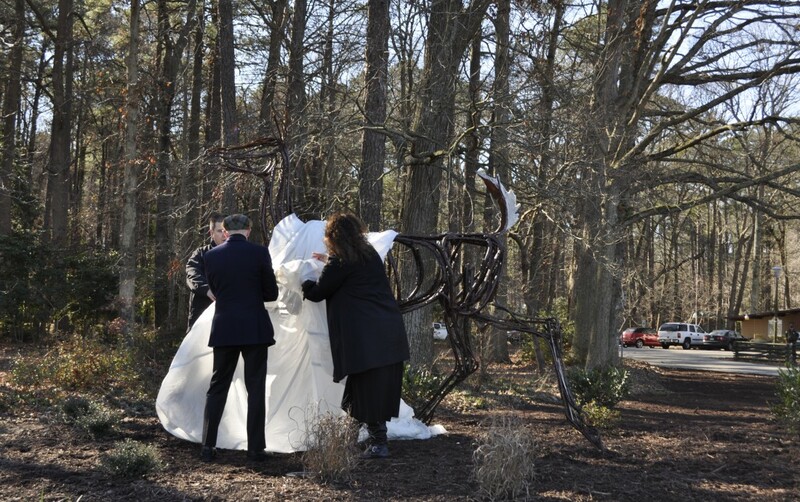 Bobby Freeman, Vice Mayor Coleman, and Sarah Barber begin to unveil the Buck! Bobby Freeman, Vice Mayor Coleman, Jo Louise Harding, and Marty Hightower begin to unveil the doe! 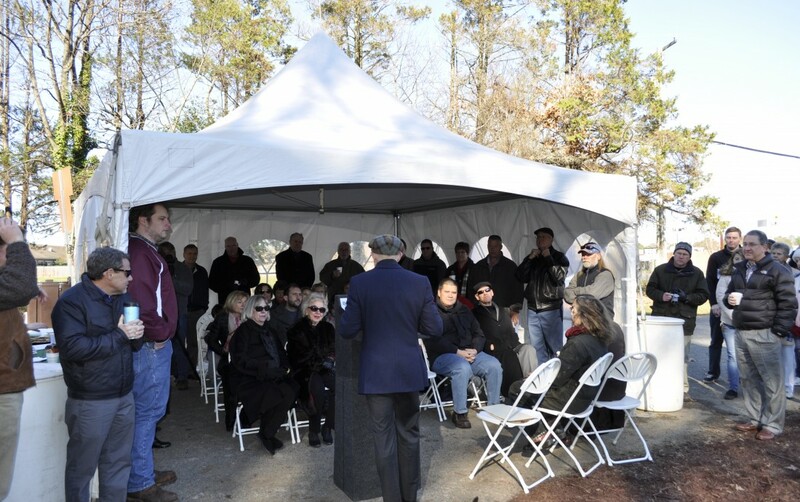 Whitetail Crossing unveiled Saturday, December 19, 2015. Wendy Klemperer speaking to the 4th grade students at Deer Park Elementary School about her artwork. 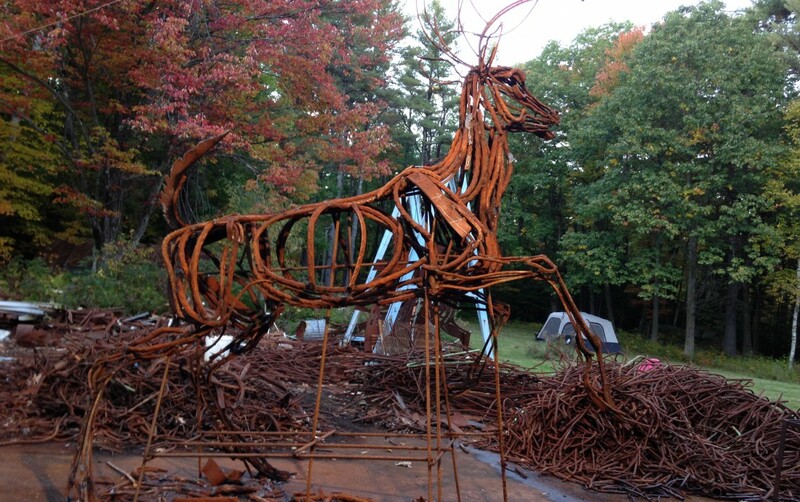 This expressive installation, created from salvaged industrial materials, evoke elegance, agility, and the sheer force of nature – remarkable qualities of deer. 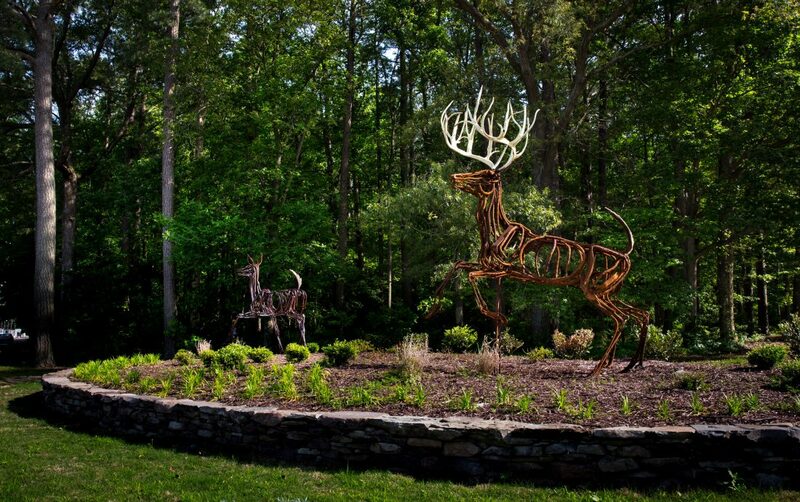 There is no better setting for these deer sculptures than welcoming the 400,000 visitors a year to Deer Park on Jefferson Avenue in Newport News, Virginia. Abundant now, deer were severely threatened in the early 20th century. The animal that gave livelihood to Native Americans and colonists alike almost died out. 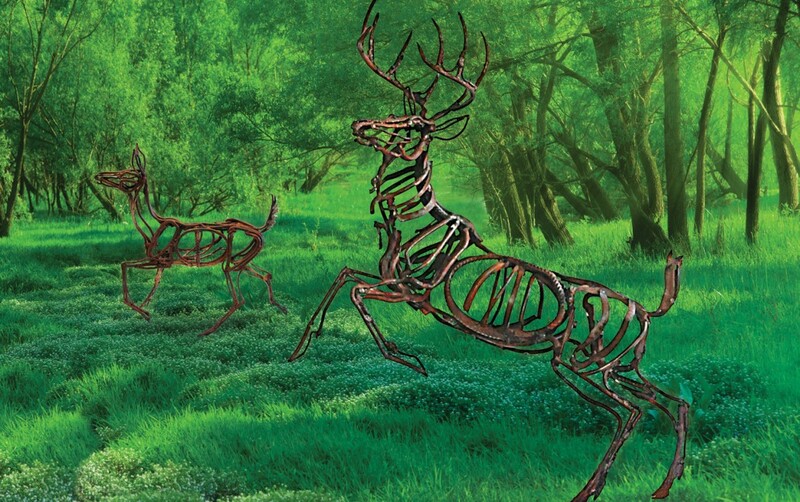 Deer Park was established as a preserve and these sculptures are a permanent reminder of the creatures that once roamed this woodland setting. 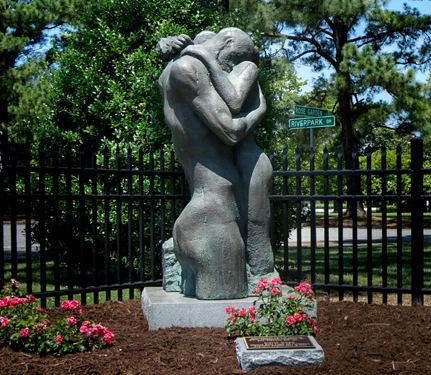 This project exemplifies the partnership approach that is unusual among public art programs, but it is a Newport News trademark. 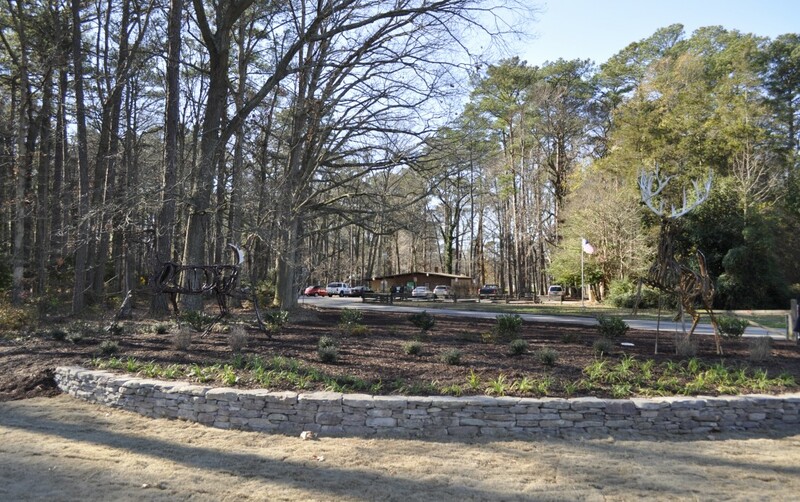 The Newport News Department of Parks, Recreation & Tourism contributed and prepped the site, the Newport News Public Art Foundation commissioned and installed the art and stone retaining wall, business and foundation sponsors provided in-kind donations for portions of the installation, and patron donors contributed funds. 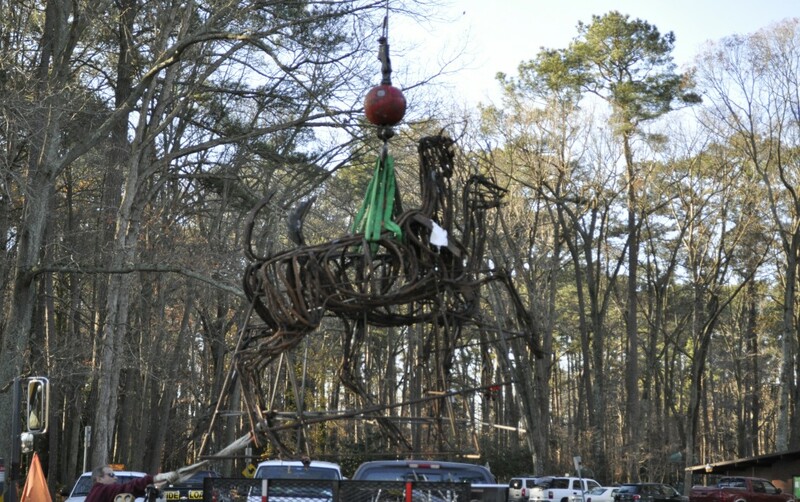 A free educational mobile app was launched alongside this installation — and rightly so, as it will greet the people who visit the park each year and the students next door at Deer Park Elementary School. 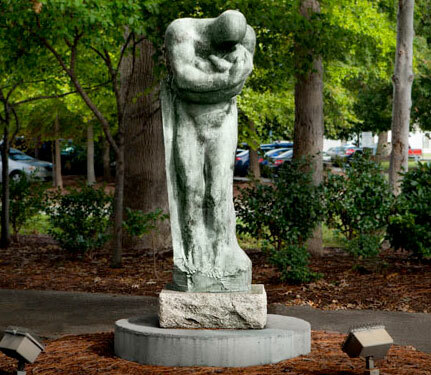 A personal tour of the works of art in the collection of the Newport News Public Art Foundation is only a download away (Apple Store and Google Play Store). 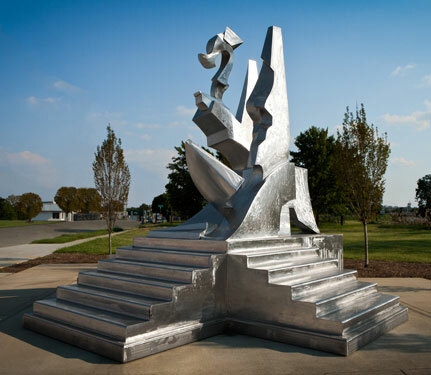 This was made possible in part by a grant from the Newport News Arts Commission. Details: Salvaged industrial materials. 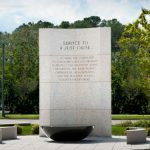 Created in New Hampshire and New York. 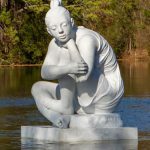 Sculptor Wendy Klemperer has always been fascinated with animals, and her work is informed by close study of her subjects’ bodies, behavior and habitats. But instead of the expected — a realistic replica of their anatomy — her work explores movement, how a body changes as it moves, how animals express themselves — and emotion — through motion. 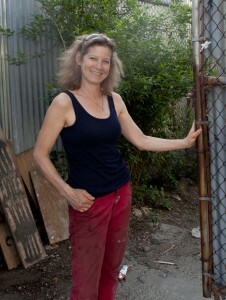 “Sketching in air” is how she describes her boundary-crossing art, sculptures that are three-dimensional drawings. Instead of solid forms, she works with lines. 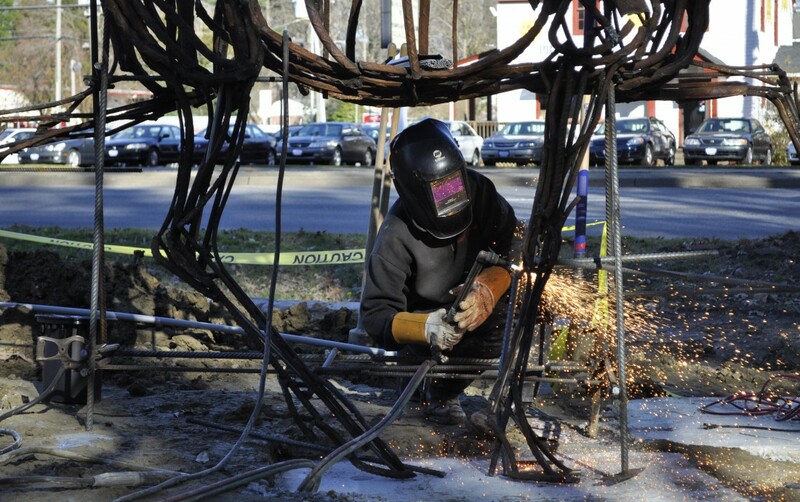 She works primarily in metal, casting bronze and welding scraps of salvaged rebar and nails, washers and saw blades. 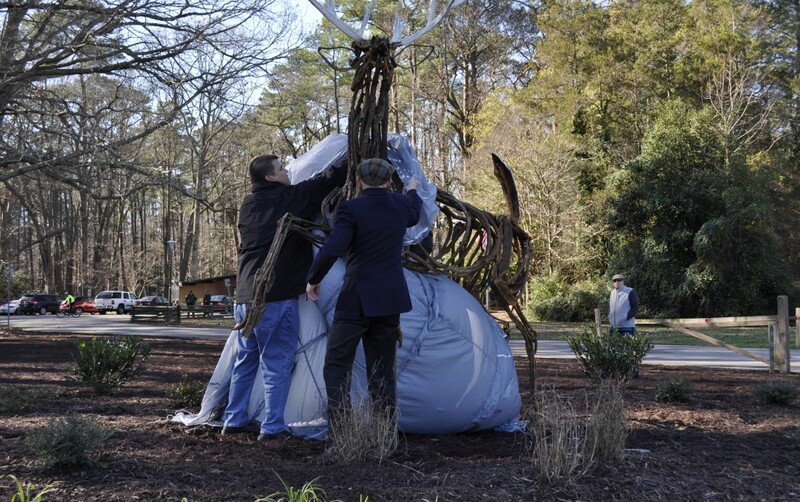 Like the wild animals they depict, Klemperer’s creations belong outdoors — in botanical gardens, parks, college campuses, sculpture parks, even city streets — where their relationship with the environment becomes part of what the art is about. 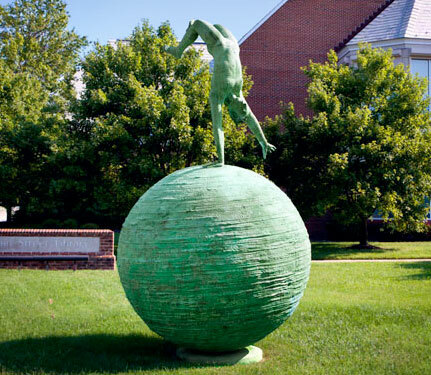 Installed outdoors, she says, “The landscape fills in the sculpture, and the sculpture creates an event in the landscape.” Freed from the constraints of gallery walls, outdoor pieces can be big and have more impact. The intersection of science and art is territory that draws Klemperer, and she comes to it naturally, with undergraduate degrees in biochemistry from Harvard and in fine art with a concentration in sculpture from Pratt Institute.